Imagine rocking up to a party in a flying car. That’d be the dream. The idea has been around for a while now and we’ve been teased with futuristic designs many times, but it seemed unlikely that we’d be cruising around in our own batmobiles any time soon. But a Slovakia-based company is now tantalizingly close to making our childhood dreams a reality, having developed a fully functional prototype. 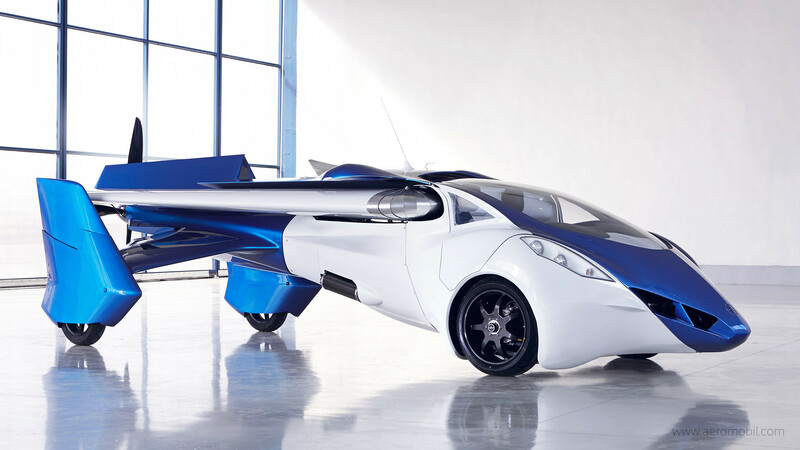 AeroMobil unveiled their car/plane hybrid, AeroMobil 3.0, at the Pioneers Festival in Vienna on October 29. They boasted that their swanky flying roadster only took 10 months to produce, which is pretty impressive to say the least. Like a transformer, the limousine-sized vehicle can morph from plane to car with the touch of a button, in just two minutes. When the wings are folded, it could easily fit into existing road infrastructure. What’s more, it runs on gasoline instead of kerosene, so owners can fill them up at regular gas stations. In car form, it can reach speeds of 160 km/h, and as a plane it can travel at 200 km/h. To be used as a plane, all that is required is 250 meters of runway or grass for takeoff, and 50 meters for landing. It’s small enough to be stored in a garage, too, so no need for a hangar. Because it’s so annoying when you have to store your private jet away from home, of course. Unfortunately, a normal driver’s license isn’t enough to be able to drive this thing. It’s the equivalent of a light-sport aircraft, so you’d need to get a sport pilot license. Pilots have been testing out the vehicle since October this year, but it still needs some tinkering. Although it’s very close to the final product, which will be made using the same materials, the team won’t give us any ideas on when it will likely arrive on the market.